Repressing. 2008 reissue of the debut album from the singer/songwriter and multi-instrumentalist containing three bona-fide hit singles including 'Spiders And Snakes', 'My Girl Bill' and 'Wildwood Weed'. 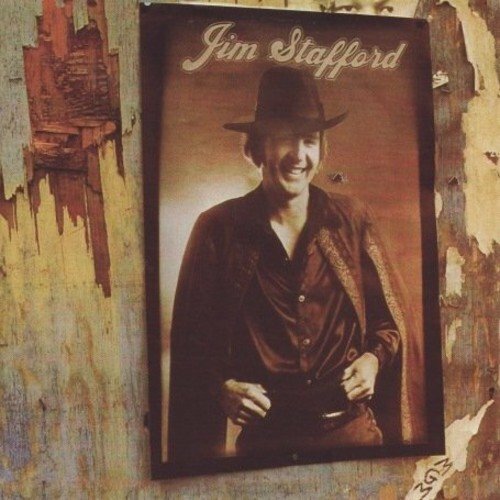 Jim Stafford performed during the '60s with a local Florida band that included noted singer/songwriter Lobo and Rock legend-to-be Gram Parsons. Lobo co-produced most of Jim's big hits, including his debut 'Swamp Witch' which was on Stafford's eponymous LP, a release in 1974 on MGM Records. He can play a mean guitar as well as catchy tunes and witty lyrics. He was married to a first lady of Country, Bobbie Gentry, at the time and moved in those circles himself, but there are a range of styles on this LP which Stafford attacks with panache, including pastiche Blues, real down home Tony Joe White style Swamp Rock and wistful Country Folk. Retro. If you have any questions about this product by RPM, contact us by completing and submitting the form below. If you are looking for a specif part number, please include it with your message.